Alcohol is properly termed "booze" for several reasons, amongst which is the ever-increasing death toll from alcohol related mishaps. Only God knows the evils brought upon society because of BOOZE! But there are other ills associated with alcohol besides moral issues... your health. Few people realize that flying on an airplane combined with drinking alcohol is hazardous to your health. Alcohol and flying just don't mix. I am going to give you some of the facts about the consumption of alcohol and each one of us always needs to constantly re-evaluate our condition and position of the subject. "Birddoggers" and fighter pilots have been know to consume alcohol in the spirit of "party tonight, because tomorrow I may go down in flames." (I'm not sure that bomber pilots do these things, since I have never run around with that crowd.) I will try to point out some of the reasons why we (Birddoggers), as we get older (and wiser), have to change our approach to the issue of ALCOHOL. If a pilot has one shot of whiskey, it takes about 60 minutes for his/her blood alcohol level to reach its peak. There are many variables in the equation. The pilot's size and general metabolic state help to determine the exact peak alcohol level. Just because someone drinks frequently and doesn't show the outside effects doesn't mean that his/her alcohol level is low. One shot in a "98 pound weakling" will probably have a different effect than the same amount in a "300 pound bruiser." How much and how do we metabolize (get rid of) the alcohol? Alcohol is metabolized in the liver, i.e. if you have a bad liver it takes longer to metabolize. You metabolize approximately 10-15 mg % per hour or 1 oz of pure alcohol in three hours. You say, "What is 10 - 15 mg %?" In most states legally drunk is 0.10 to 0.20 % (100 - 200 mg %). The point is... you don't have to drink very much to be legally drunk. 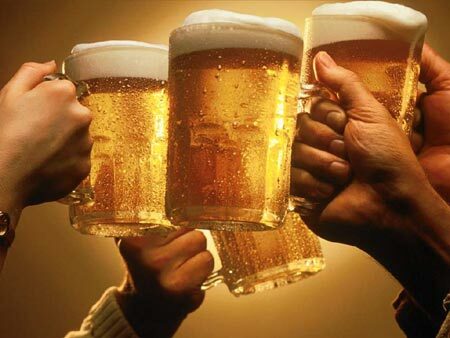 Most of us will be legally drunk after three beers (It won't take that many for some.) The FAA states that there has to be at least 8 hours time between your last drink and acting as a crew member. As this paragraph shows (and you can check the math), you could easily still be legally drunk after 8 hours. Some items of interest and conversation at the bar: 1 oz = 30 ml 1 jigger = 45 ml % (as noted above) = volume % or ml per 100 ml 1 can of beer = 12 oz = 360 ml 3.2 % = 11.5 ml of alcohol 6.0 % = 26.6 ml of alcohol Wine (12 %) 1 bottle = 4/5 qt = 25 oz = 750 ml = 90 ml of alcohol 1 glass = 3 - 4 oz = 90 - 120 ml = 10.8 - 14.4 ml of alcohol Hard Drinks Gimlet = 1 1/4 jigger gin (@45 %) = 25.2 ml of alcohol Sour = 1 1/4 jigger of whiskey (@45%) = 25.2 ml of alcohol Daiquiri = 1 1/2 jigger of rum (@40%) = 26.8 ml of alcohol Collins = 2 jiggers of gin (@45%) = 40.0 ml of alcohol Martini = 1/4 jigger of vermoth (@19%) = 2.1 ml of alcohol 1 1/2 jigger of gin (@45%) = 30.2ml of alcohol 32.3 ml of alcohol Let's do some math: To put it in "pilot terms"...(this is an approximate and every person is different) In eight hours, a pilot (or ground person) could clear 8 beers or 4 - 1 oz "highballs" or 3 "double highballs" or 2 dry martini's. This is only an approximate and will be different of each person. The amount that you drink, the rate that you metabolize and the person's size (a larger person will have a smaller % alcohol for the same amount of drinks) all go together in this equation. These are all things that we know but nobody likes to talk about it. The big issue is to always fly safe. If you had a big party the night before a flight and you consumed alcohol (while telling Birddog stories), don't fly until you are safe. The (magical) eight hours may be past, but you still aren't feeling your best (i.e. hangover)...don't fly! 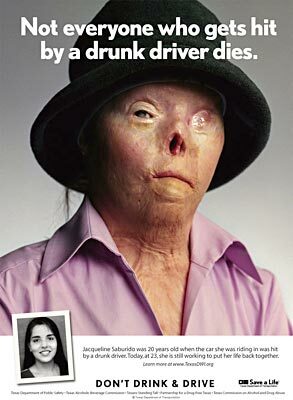 We all know that alcohol impairs your behavior, judgment, attention and control. Have a good time, be responsible and fly safe. Alcohol ought not be served on airplanes. It certainly doesn't make good sense to serve a mind-altering beverage in an enclosed environment, where an alcohol-impaired passenger may wreak havoc. In addition, the airlines have no way of determining how many alcoholic drinks a passenger may have drank before entering the plane. The best thing to do is avoid alcohol completely, on or off the plane. Pilots Skimp On Air to Save Fuel | Passengers are NOT Insects! Alcohol is the Most Dangerous Drug! | God is Against Alcohol, Period! Alcohol tastes and feels good, but is rotten to the core! —Pastor Jack Hyles (1926-2001), quoted from chapter seventeen of Dr. Hyle's inspiring book, Teaching on Preaching.